One unknown I’ve been grappling with is why Snoke would want Rey taken to Jakku in the first place. It obviously had to do with what the Emperor was so interested in there, but it wasn’t clear beyond that. A recent Vader comic has provided inspiration. In the comic, the Emperor has Vader go to Mustafar and use the Dark Side nexus located there to corrupt the Kyber crystal Vader had recently ‘won’. What’s particularly interesting about this nexus is it’s analogous to what Rax did in Empire’s End on Jakku with the planetary essence. By throwing Yupe and several Sith objects into it, the entire essence was corrupted – creating a massive dark side nexus. This nexus was powerful enough to tear the planet apart if left unchecked. However, there was a means of stopping it built into the observatory – suggesting destroying the planet wasn’t the original plan (and probably never was) – creating a massive artificial dark-side nexus was. Snoke demurred. “It is far more than that. It is where you are from. What you are made of. The dark side-and the light. The finest sculptor cannot fashion a masterpiece from poor materials. He must have something pure, something strong, something unbreakable, with which to work. I have-you.” He paused, reminiscing. Using such power is extremely dangerous if it’s not being channeled through a or into a medium with the right qualities – much like a Kyber crystal. The Skywalkers, being descended from the Force itself, are made of the right ‘stuff’ to do this properly – if shaped correctly. If this is correct, this is what the Emperor intended with Vader and Luke and Snoke with Ben. However, the need for proper shaping may not have been apparent. This is where Rey comes in. At the time Ben was born, Snoke was not in a position to risk detection by Luke and worked to subtlely corrupt the boy. This was a long term project with an uncertain payoff, so when a new opportunity presented itself – the birth of Luke’s daughter – Snoke shifted his efforts to kidnapping her outright. After succeeding in grabbing her, Snoke wasted no time and had his agents bring her directly to Jakku. Snoke hoped she alone would be enough to properly channel or store the power and wanted to act before Luke could find her (as this was a rather dangerous experiment, it’s likely one of Snoke’s apprentices conducted it rather than Snoke himself). 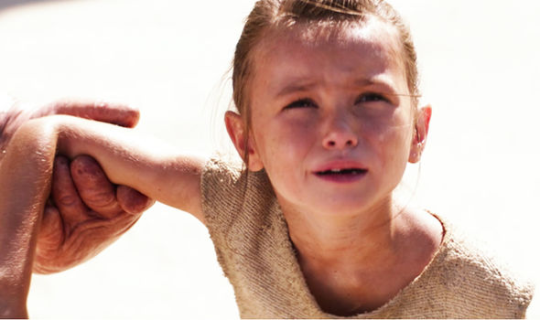 The process was incredibly traumatic for young Rey and she did something no one expected – she created a mental shield. For those present the result was possibly catastrophic. Much like an improperly faceted Kyber, the energy went everywhere – possibly killing or driving anyone in the vicinity insane. While Rey herself wasn’t directly affected, her block had the side-effect of making it appear that she had died to anyone connected to her. A few of Snoke’s agents survived to make it back and inform him of what happened. With one Skywalker child apparently lost to him, Snoke was forced to turn back to Ben. Further, he was also now aware that Ben had to be both willing and properly prepared for his plan to work. 1) In the past, Jakku was once a living world. Given the anomolies in the Unknown Regions and Jakku’s location, it’s possible the essence was once used to stop something that threatened the galaxy. An unfortunate side-effect was life was scoured from the planet. 2) I’ve previously discussed that the research facility’s purpose was tied to the essence. It’s possible it was researching using Force sensitives captured by the Inquisitors to channel the energy there. That the Empire defended the facility for a time before destroying it suggests there was some important work that could only be done after the essence was corrupted. 3) There are other Observatories throughout the galaxy. It’s possible others contain a borehole like the one on Jakku. 4) Who’s supposed to function as the ‘bait’ and who is the ‘vessel’ and what they even mean isn’t clear. 5) I’m well aware this is stretching the limits of what we know. This is conjectural and an attempt at making sense of the disparate pieces of information we have. It’s meant to be a potential staring point. 6) It’s possible Snoke thought the process might corrupt her similar to making a Kyber ‘bleed’. 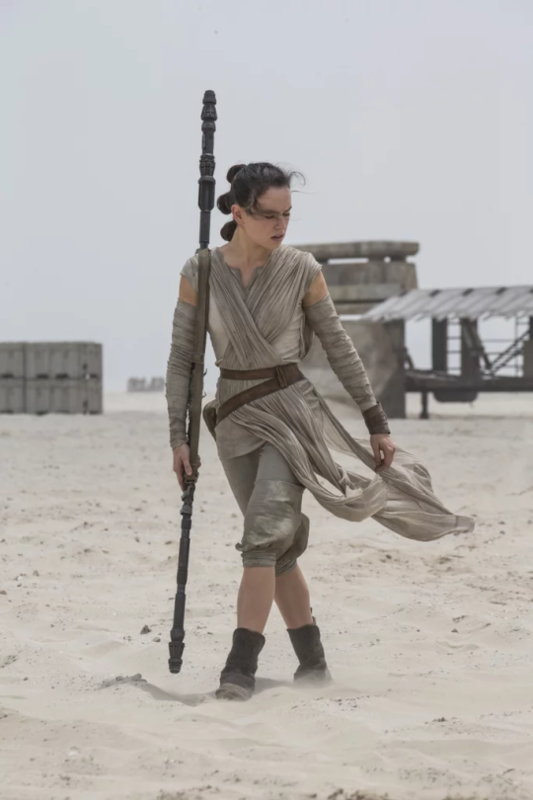 Rey’s immediate response to the Forceback is to go back to her life on Jakku. Before Maz says anything about belonging, Rey’s immediate reaction is to go back to what she knows. Further, she had spent the first part of the film anxiously insisting she needed needed to get back to Jakku even though she had only been gone a short period of time suggesting she was afraid of more than just missing her family. Rey’s strongest reaction came when Maz encouraged her to open herself to the Force and take the lightsaber. The Forceback was scary, but running randomly into the forest seems like an overreaction, unless the experience was triggering a much deeper and older fear. The awakening itself. None of the other canonical examples of people discovering their potential has been described this way. Each of the other examples simply became aware of what they were already doing. The timing of the awakening. Rey’s awakening happened when she first did something outside of her comfort zone and overcame her fear of leaving Jakku. Her dreams of green planets came when she was on the edge of sleep. Her block was at its weakest when she was close to unconsciousness, allowing the Force in. The barrier Kylo encountered in Rey’s mind in the novelization. When he pushed against it, she found herself in his mind. That pushing against it produced such a visceral reaction suggests the barrier was internal in origin. Rey’s instinctive ability to tap into the Force. Many people have commented on how quickly Rey picked up Force abilities. Canonically, the hardest initial obstacle to overcome for those who have just learned of their potential is how to let the Force in. Rey does it intuitively, suggesting it used to be second nature even if she never received any formal training. In Empire’s End, Gallius Rax pushes Yupe Tashu into the well with several Sith artifacts, corrupting the ‘essence’ in the planetary core. There is now a massive concentration of dark side energy at the heart of Jakku. Like this? Follow us on Facebook, Twitter or here on WordPress! Well, it’s an excellent theory and ties a lot together – so far I like it. I did get the sense initially in TLJ that Rey and Kylo were being drawn together by the Force itself, and that something odd might happen when they touched – but the movie left that issue ambiguous given the vision, Snoke and the misreading she made. Snoke’s role still needs to be revealed also, whether Plagueis, a loyal servant of the Emperor or something older than him from the periphery. This theory was made before TLJ, but it still more or less works. Unfortunately, the movie didn’t really shed much light on any of the questions this theory was intended to answer. My thinking this theory has changed a little bit. I now think the goal was and is to bring back Palpatine. Next Next post: Announcing: The Star Wars Shadow Council Discord!